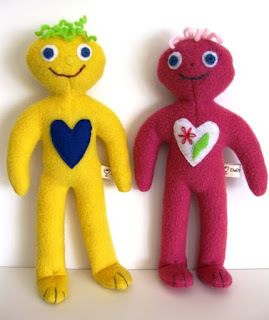 Here are 2 custom made Friendly Monsters that I made for customers. The one to the left is Oscar. Oscar was made for my customer's grandson. 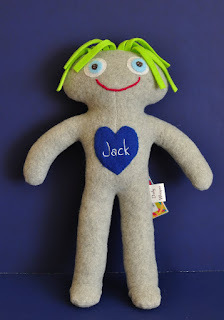 He asked if I would embroider Jack on the heart to make it a special gift for a special grandson. 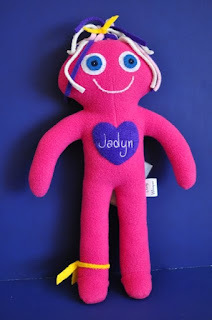 The Hot pink doll named Sunny was made for Jadyn. Her Aunt wanted to give Jadyn a special gift for Christmas. We customized the Oscar doll by changing all the colors to match Jadyn's favorite colors. Jack and Jadyn will be so excited when they open their gifts. Having a doll with their own name on it is pretty special! Allow 2 weeks for a custom doll. Thank you. 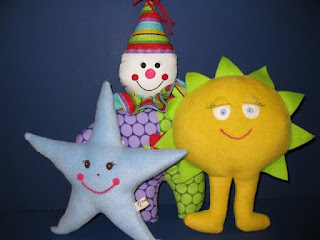 Here is the new batch of fleecie dolls that I made for a boutique. They are so cute. What do you think? 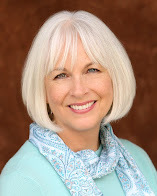 I have been in sales most of my life and one thing I learned is that, facts tell and stories sell. I was thinking about this today as I was walking around the hot rod show in Laguna Beach. This show had classic cars from the early 1900's to cars that were created in a shop with 2 types of cars welded together to make a new fun machine. 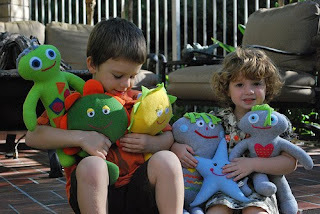 This morning my friend and her children, Calvin and Chloe came over to play with my hand made dolls. I have been wondering what dolls children would gravitate toward when given the chance. I was very happy with their reactions to the dolls. Calvin went right to the flower, star and sun fleecies. Chloe liked the fleecie monsters, especially the largest one I named Simon. She loved Simon and insisted on carrying him all around. You can see by the picture that Simon is more than 1/2 her size and I think she liked the fact that he could sit beside her and be a friend. 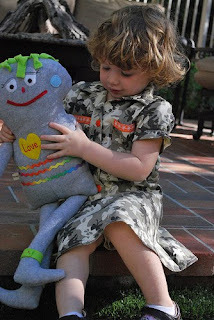 The heart patches on each doll was recognized and liked by the kids. It was great market research for me plus I now have wonderful pictures so people can see the size ratio of the dolls with children. I was so happy with this mornings results that I went shopping for more material. Now it is time to get sewing! 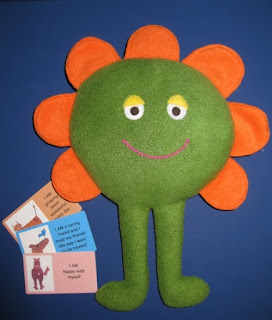 Sweet Pea stands 15" tall and she is ready to bring joy into the life of a child. She is made of fleece and she is washable. She has a back pocket with 3 affirmation cards inside. These cards are pictured in her first picture. 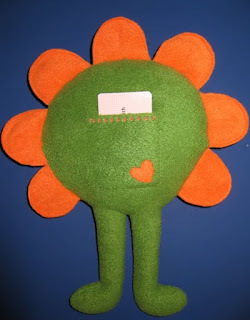 Sweet Pea is on my Etsy site for adoption for $22.00. Do you like Sweet Pea? Please comment. My little family of dolls is growing. We now have from left to right; Eddie, Sunnie, Peanut and Sweet Pea! Each doll can be adopted on my Etsy site. Prices range from $22.00 to $26.00. "As I find my way, I light the way for others." Angel Fingerprints. Someone once asked me what this quote means. To me it means that our accomplishments can inspire others and creates a drive within them to succeed as well. What does it mean to you? Take some time this month to think about all the blessings in your life. Once a day write down the top 5 things you are grateful for. They can be as simple as the air you breathe, the water you drink, your friends, your family, your pets, your job...yes your job; you get the picture. When we develop an Attitude of Gratitude our perspective changes and our life becomes more enjoyable. Give it a try! 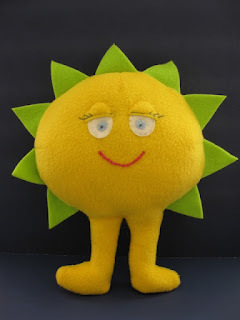 Sunnie is a piece of the sunshine who has come here to make a child smile. She is soft and cuddly and happy to be squished and hugged all day long. She is machine washable. What do you think? Please comment. 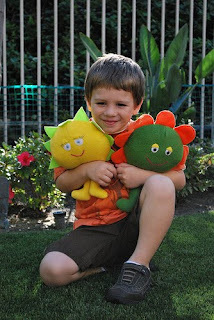 These friendly monsters are 12" tall and made of soft cuddly fleece. 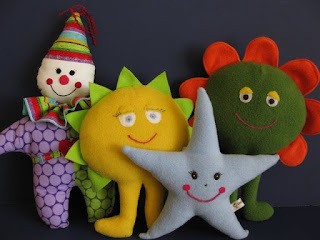 They are ready to be hugged and loved by a child. They are good at keeping secrets and always are ready to lend an ear. To buy these items visit Daily Whisper on Etsy.